In our last episode, the crew of the Galactic Space Destroyer, Pickett, began to set up in the shadow of their ruined ship on the mysterious, Planet X. The crew watched as the two coffins from the fatalities at the landing were escorted away by odd-looking sea creatures. Captain Jake Evans stood at the beach looking out over the ocean. The sun was setting. Gunny Johansen was handing out watch assignment for the night. Evans was not on any watch, but was to be first notified if anything “unusual” were to happen. The sound of poles being driven into the land, affixed with lights drowned out the sound of the waves striking the beach. Evans felt a hand on his shoulder. Startled, he turned. It was Chief Engineering Irene “Smitty” Smithson. “Hi,” he said feeling a little stupid for jumping. Jake turned and looked towards the ship. All eyes were on him and Smithson. A couple of crewmembers had sheepish smiles, the rest turned away in embarrassment. Jake felt he face turn red. A vein stood put in his neck. Irene held out her hand and led Evans to the tent. The crew erupted in cheering. Evans awoke while it was still dark. He reached over and found Irene’s pad was empty. There was enough light from the ship that he could make out the release strip in the door. The fabric fell open, Evans climbed out as the fabric resealed itself. He walked to the ship. Johanssen was the first to meet him. “Ah, that is well said, Captain. But as you see, the new day is about to begin. Let us hope that it will bring us a little closer to home.” Gunny pointed west. The darkness was getter lighter towards the west. “I feel all backwards when the sun comes up that way,” Evans remarked. Evans chuckled and headed to the ship. He found his XO Putchin huddled in conversation with his Science Officer Leonard. “Is that what you’re planning?” Evans asked. “Yes sir, that is our goal,” Putchin replied. “Yes, sir,” Putchin and Leonard responded in unison. The conversation lasted long enough to allow the first tendrils of light to break across the sky. He heard the voice of Smitty barking out orders. He went to investigate. She had a crew shoveling sand under the hull of the ship. They looked like they were at it for some time. There was a large accumulation of sand against the hull. “What’s going on here, Smitty?” Evans asked. The sun began to touch the solar panels. Irene walked to the array. She barked a few commands into her communicator, which Evans assumed was linked to Burroughs. After several minutes of back and forth, Irene ordered everyone clear of the ship. Evans watched as she made sure all was clear. He heard her bark a clear “Go!” into her communicator. The deployment motor kicked in. The array, which was so hard to extend the night before, came out effortlessly. Each section connected well with each other. The weight of the panels and lightness of the frame caused a bend, which never would have happened in a zero gravity environment. Irene climbed to the top of the ship. She had her crew remove some of the sand. The ship began to turn, with the weight of the array. She also yelled to clear away the opposite side of the ship. She yelled and “All clear” to Burroughs and climbed into an open airlock. A muffled blast indicated another panel blown off the ship’s hull. Irene inspected the new opening. She once again told Burroughs “Go!” and the opposite array played out. Evans climbed aboard the ship and headed to the bridge. All the systems were lit up. All the alarm bells warning of hull breaches and atmospheric anomalies were silenced. The red lights still blinked as a reminder of the situation. JR sat at the comm station. The bridge crew rotated through the night. A higher level of power meant a further range. There was now a radio lock with both orbiting buoys. JR was checking all the different bands. He switched to one channel. 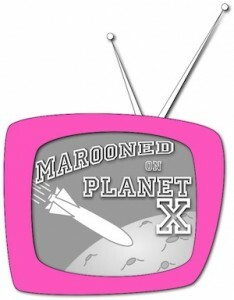 This entry was posted in Marooned on Planet X. Bookmark the permalink.